December 7 marks the 75th anniversary of the surprise attack on Pearl Harbor. Below are several resources--including a live, electronic field trip--you can use with your students. Find these and more at PBS LearningMedia. 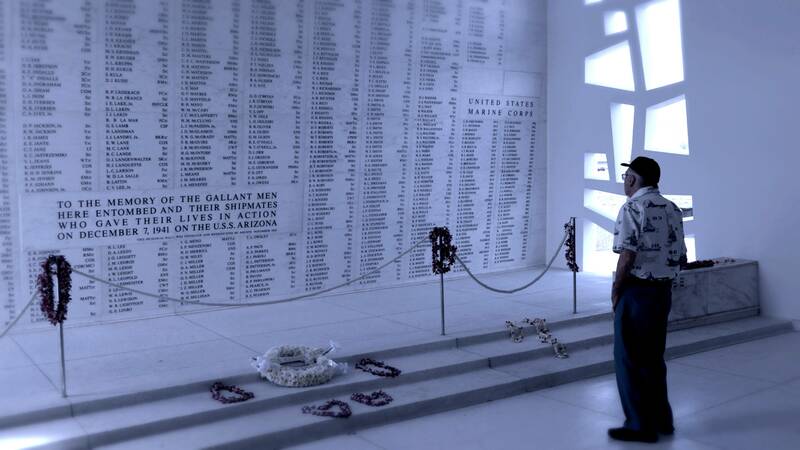 December 7 marks the 75th anniversary of the surprise attack on Pearl Harbor. In recognition, WYES and The National WWII Museum are hosting a free Electronic Field Trip, "Remember Pearl Harbor," for teachers and students. From the War of 1812 and WWII to Iraq and Afghanistan, bring stories from the battlefront into the classroom with personal oral histories, archival footage, statistical data and more. Go back in time to Dec. 7, 1941, when Pearl Harbor was attacked, with this segment of Iowa Public Television's "Iowa’s WWll Stories." Includes background essay + discussion questions to spark class discussion. Using this class discussion and writing project lesson from Panhandle PBS, students learn about the causes and events leading up to the attack on Pearl Harbor. Offer students an insider perspective of WWII through the eyes of those who were touched by it with Georgia Public Broadcasting's World War II Veterans Oral History Project collection. Why did the Axis powers think forceful expansion was a good idea? How did the Allies ultimately prevail? Students explore these questions and more in this Crash Course.